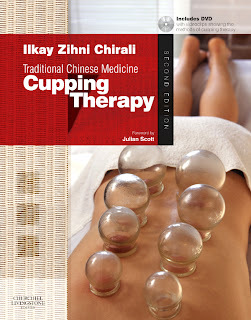 Cupping is a therapeutic technique employed by many acupuncturists to treat Full, Mixed or Deficiency conditions. Despite its documented effectiveness, however, little is known from a Western scientific standpoint about the mechanisms by which cupping therapy yields its effects. In 2005, Ilkay Chirali published the results of a small trial conducted on 6 patients with musculoskeletal complaints. In this study patients were treated every two days over a two weekly period and blood samples were taken and analysed before, during and after the treatment period. Analysis of the samples revealed a significant reduction in the Erythrocyte Sedimentation Rate (ESR), a broad marker of inflammation. The aim of the current study was to identify inflammatory marker(s) whose plasma concentrations are altered during the cupping therapy in the treatment of musculoskeletal disorders and which may account for changes in the ESR. This will provide biochemical evidence for the effectiveness of cupping therapy. 14 subjects presenting with a range of chronic musculoskeletal complaints (diagnosed as Empty, Mixed and Full conditions) were recruited into the study. Full informed consent was obtained from each subject. A Traditional Diagnosis was then performed on each subject and the cupping treatment strategy determined accordingly. Each subject then received six cupping treatments at weekly intervals. Prior to the first treatment and thereafter at weekly intervals, subjects completed a MYMOP questionnaire in order to assess clinical outcome. Venous blood samples were also obtained before treatment, after 3 treatments, after 6 treatments and six weeks posttreatment. The following analyses were performed on blood samples: full blood count, haemoglobin concentration, erythrocyte sedimentation rate (ESR), serum concentration of fibrinogen, C Reactive Protein (CRP), IgG and ferritin. Serum samples were also analysed for the concentration of inflammatory cytokines (IL-1β,IL-6, IL-10 and TNF-α). Data obtained was analysed by one way ANOVA with matched values and Dunnett’s Multiple Comparisons Test using Instat2 software. 9 females (range 23 – 52 years) and 5 males (range 37 – 62 years) were recruited into the study. One female participant subsequently withdrew from the study at week 3. Analysis of MYMOP questionnaires indicated that 95% patients reported improvements in their symptoms as a result of treatment and, overall, this improvement was found to significant. Complete data sets from blood and serum analysis (before, during and after treatment) were obtained for 11 subjects. The six week post treatment follow up was 54%. Analysis of data revealed statistically significant increases in the platelet count (p =0.0373) and lymphocyte count (p = 0.0001) and decreases in the serum concentration of fibrinogen (p = 0.0008) and ferritin (p =0.0024). No changes were measured in the serum concentration of proinflammatory cytokines, with the exception of one patient where slight increases above normal levels were seen in TNF-α, IL-6 and IL-10 concentrations. Interestingly there was no significant change in the ESR observed in these subjects, however, only 3 subjects presented with an elevated ESR before treatment. Our thanks to Ilkay Zihni Chirali and Mark Bovey from England for sharing the above post. If you have any questions or want to leave some feedback on their workshops, then please do so via a comment* below.